This is one of my favorite images of the day . . . it was such a great day, hence I dedicated a full post to it. 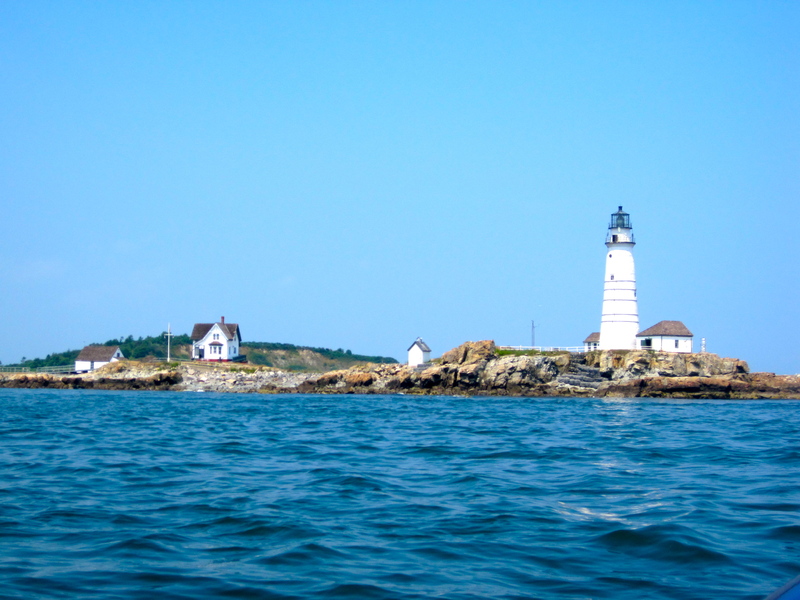 This is Boston Light on Little Brewster Island. I was intrigued to learn that the little house on the left is lived in by Sally Snowman, a single woman in her 40’s who has lived out here since 2003. That is a woman with an adventurous spirit. We loved adventuring around the Boston Harbor Islands today.